In honor of Zonta's centennial year (1919 - 2019) a new scholarship has been created to encourage women to pursue a career in technology. Please download the application to see if you are eligible. Or go to the Awards page to find out more and to read about other scholarships offered. "16 Hands Pledge Activism". 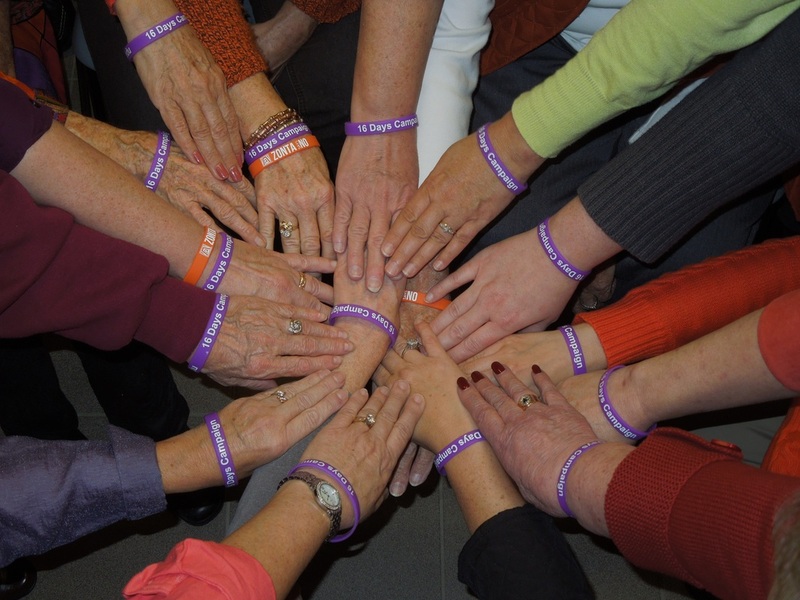 As part of the November campaign "16 Days of Activism" beginning Nov 25, the Zonta Club of Lebanon put their hands together to stop violence against women. We are an international service organization dedicated to empowering women through service and advocacy. We are an affiliate of Zonta International (www.zonta.org) and have been active in the Lebanon Indiana area since 1956. Say NO to Violence Against Women by joining the campaign at http://zontasaysno.com/.